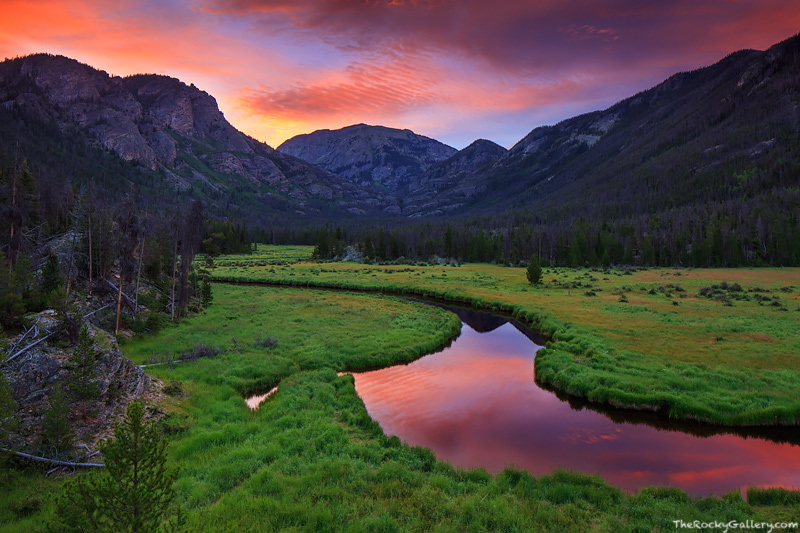 East Inlet flows through East Meadow on the west side of Rocky Mountain National Park. East Meadows grasses are a vibrant green during the height of summer as the colors reflect in the peaceful waters of East Inlet as it meanders towards it junction with Grand Lake. Mount Craig or Mount Baldy depending on who you ask rises above this tranquil, while classic Colorado scene. Photo © copyright by Thomas Mangan.